We are very proud to announce we will be working with the Invictus Games Sydney 2018 for the upcoming 73rd Rolex Sydney Hobart Yacht Race. As well as the eleven Clipper 70s racing to Hobart as part of the 40,000 nautical mile Clipper 2017-18 Race, two Clipper 68s will also take part in the iconic Bluewater Classic, starting on Boxing Day in Sydney. Invictus Games Sydney 2018 GAME ON (CV10) will be crewed by British wounded, injured and ill Veterans, and will take on the Australian crewed Invictus Games Sydney 2018 DOWN UNDER (CV5), in what’s tipped to be an ‘Ashes on the Water’. IMAGE: Tom and James Spithill with Invictus Games Sydney 2018 Chief Operating Officer Ben Rahilly. Clipper Ventures Founder and legendary sailor, Sir Robin Knox-Johnston, the first man to sail solo, non-stop around the world almost 50 years ago, will join the UK crew aboard Invictus Games Sydney 2018 GAME ON (CV10) as the on-board navigator, in what will be his third Rolex Sydney Hobart Yacht Race. After meeting the team at the Clipper Race’s HQ in Hampshire, UK, ahead of their training, Sir Robin said: “Clipper Ventures is thrilled to be supporting Invictus Games Sydney 2018 as it prepares to introduce sailing to its event line-up. IMAGE: Australian crew training on Invictus Games Sydney 2018 DOWN UNDER. The eight UK wounded, injured and ill defence veterans will race alongside an Australian crew on Invictus Games Sydney 2018 DOWN UNDER (CV5), with all participants undergoing intensive training provided by Clipper Ventures. The UK crew recently completed their first week of training at the Clipper Race’s HQ in Hampshire, UK, and were welcomed by Sir Robin and five-time Olympic medallist and Land Rover BAR's Team Principal and Skipper Sir Ben Ainslie. The UK crew will join their Australian counterparts for further training next week on Sydney Harbour. On hand to support the Australians at today’s announcement in Sydney was two-time America's Cup champion and Invictus Games Sydney 2018 Ambassador James Spithill, who said: “Committing to take part in this iconic race is testament to the unconquerable spirit of the Invictus Games community. “For those selected, this race forms part of their rehabilitation, as they use the healing power of sport to move forward in their recovery. IMAGE: Invictus Games Sydney 2018 GAME ON at the CYCA. 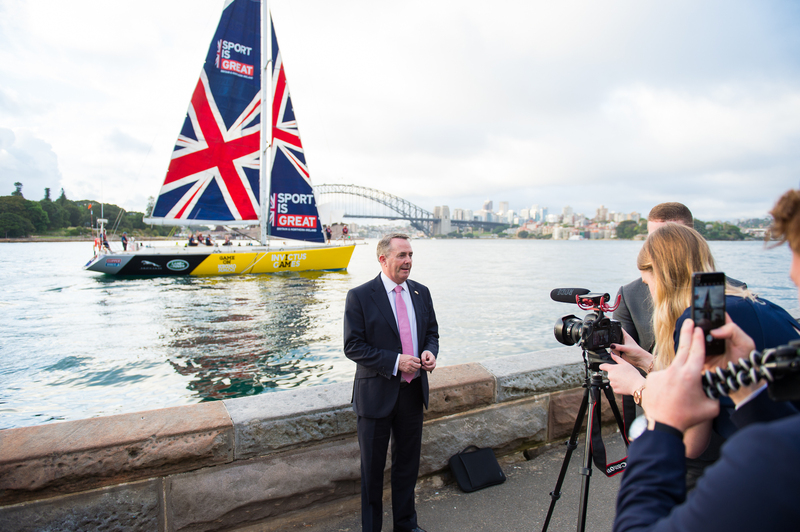 Invictus Games Sydney 2018 Chief Operating Officer, Ben Rahilly is urging the international Invictus Games community to get behind the Games, and said: “Taking part in the Rolex Sydney Hobart Yacht Race is an exciting platform to showcase the healing power of sport as we build towards the Games in October 2018. We hope the wider Invictus Games family will take this opportunity to cheer on our crews as they take on this iconic blue water classic. Today’s announcement builds on the excitement for Invictus Games Sydney 2018, presented by Jaguar Land Rover. The fourth Invictus Games will be held ‘Down Under’ during which the sport of sailing will debut on the competition schedule. IMAGE: UK International Trade Secretary Dr Liam Fox with Invictus Games Sydney 2018 DOWN UNDER. The Invictus Games is an international adaptive sporting event for active duty and veteran servicemen and women. The Games use the power of sport to inspire recovery, support rehabilitation and generate a wider understanding and respect for wounded, injured and ill servicemen and women. 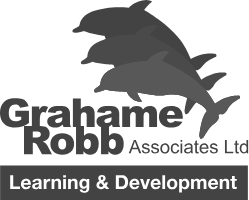 They also recognise the significant contribution made by family and friends in the recovery process. The two Clipper 68s, CV10 and CV5, have completed four circumnavigations of the globe with the Clipper Round the World Yacht Race, and have competed in the Rolex Sydney Hobart Yacht Race four times between 2013 and 2016. The UK crew have received funding from UK not-for-profit Help for Heroes and private donors, is due to arrive in Australia later this month. The full crews will be announced in the coming weeks. Follow the race 'Down Under' on the Invictus Games Sydney 2018 website.